Alexander Rose Monte Carlo Casual Dining Table: The Monte Carlo Dining Table by Alexander Rose is a wonderful table perfect for al fresco dining in the summer months and can be paired with modular chairs in the Monte Carlo range to create a lounge or dining set. The Casual Dining Table offers plenty of room to fit a chairs underneath and ample leg space and also features a tempered glass table top for an easy to clean design. 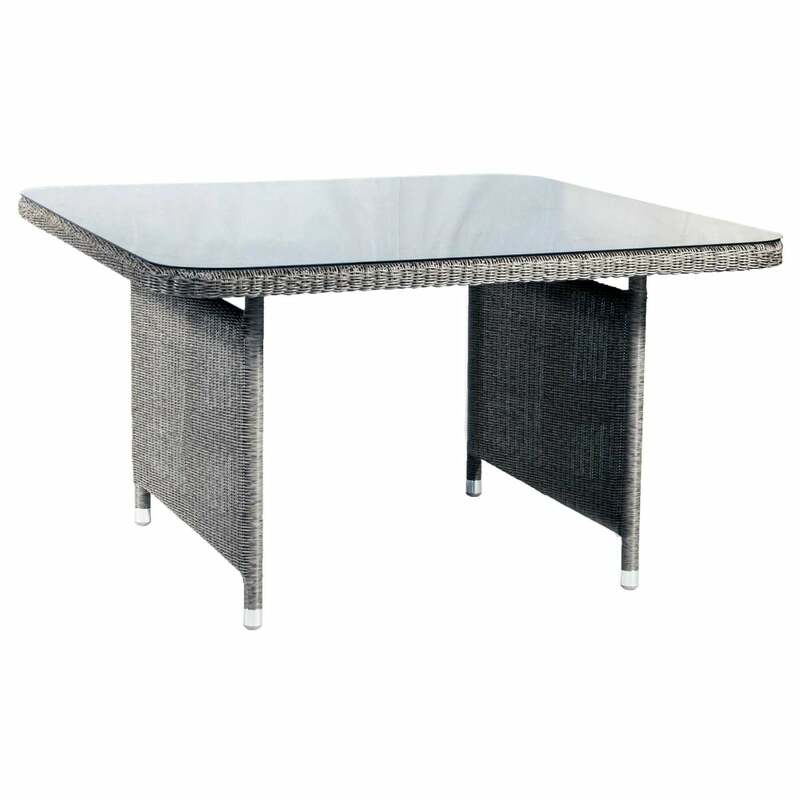 The Alexander Rose 1.3m Table features a beautiful basket weave pattern using round 3mm synthetic rattan fibre with a powder coated aluminium frame structure for a rust and maintenance free design.